If you’ve been reading my posts lately, you have probably noticed I’ve been having a ton of fun with Sitecore Item Buckets. 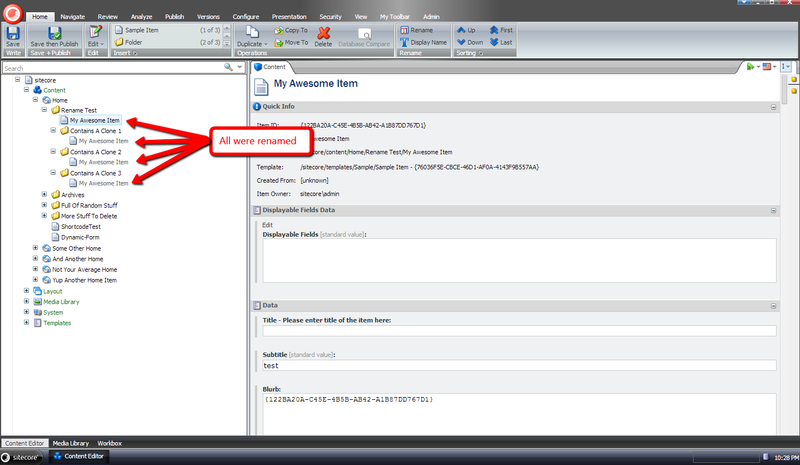 I absolutely love this feature in Sitecore. As a matter of, I love Item Buckets so much, I’m doing a presentation on them just next week at the Greater Cincinnati Sitecore Users Group. If you’re in the neighborhood, stop by — even if it’s only to say “Hello”. Anyways, back to the post. This got me thinking: why can’t we build something in Sitecore to prevent this from happening in the first place? In other words, why can’t we just say “sorry, you can’t move an unbucketable Item into a bucket folder”? So, that’s what I decided to do — build a solution that prevents this from happening. Let’s have a look at what I came up with. 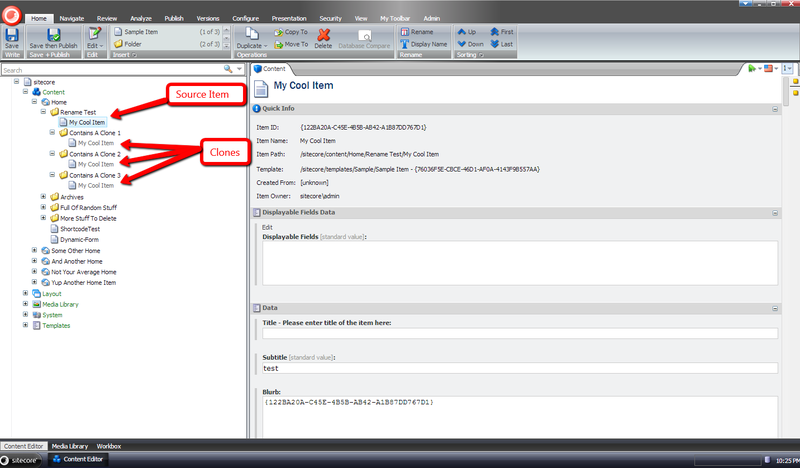 Callers of the above code can move an Item from one location to another with/without Sitecore security in place. The ShouldBeMoved() above is basically a stub that will allow subclasses to define their own rules on whether an Item should be moved, depending on whatever rules must be met. I’m injecting an instance of an IItemBucketsFeatureMethods class — this interface and its implementation are defined in my previous post; go have a look if you have not read that post so you can be familiar with the IItemBucketsFeatureMethods code — via the Sitecore Configuration Factory which contains common methods I am using in my Item Bucket code solutions (I will be using this in future posts). The ShouldBeMoved() method basically says that an Item can only be moved when the Item and destination passed aren’t null — this is defined on the base class’ ShouldBeMoved() method; the Item isn’t bucketable; the Item is already in an Item Bucket; the Item isn’t a Bucket Folder; the Item’s parent Item is a Bucket Folder; and the destination is an Item Bucket. Yes, the above sounds a bit confusing though there is a reason for it — I want to take an unbucketable Item out of a Bucket Folder and move it directly under the Item Bucket instead. Both the OnItemMoved() and OnItemMovedRemote() methods extract the moved Item from their specific methods for getting the Item from the EventArgs instance. If that Item is null, the code exits. Both methods pass their Item instance to the RemoveFromBucketFolderIfNotBucketable() method which ultimately attempts to grab an Item Bucket ancestor of the Item via the GetItemBucket() method. If no Item Bucket instance is returned, the code exits. If an Item Bucket was found, the RemoveFromBucketFolderIfNotBucketable() method ascertains whether the Item should be moved — it makes a call to the ShouldBeMoved() method which just delegates to the IItemMover instance injected in via the Sitecore Configuration Factory (have a look at the patch configuration file below). If the Item should not be moved, then the code exits. If it should be moved, it is then passed to the MoveUnderItemBucket() method which delegates to the Move() method on the IItemMover instance. You might be asking “Mike, what’s up with the ItemsBeingProcessed SynchronizedCollection of Item IDs?” I’m using this collection to maintain which Items are currently being moved so we don’t have racing conditions in code. We can’t just move an Item from one destination to another, especially when the user selected the first destination. We should let the user know that we will need to move the Item as it is unbucketable. Let’s not be evil. The Process() method above gets the Item ID for the Item that is being moved; the Item ID for the destination Item — this is referred to as the “target” in the code above; gets the Database instance of where we are moving this Item; the instances of both the Item and target Item; determines if the Target Item is a Bucket Folder or an Item Bucket; determines if the Item is unbucketable; and then the Item Bucket (this could be the target Item). If any of of the instances above are null, the code exits. If the Item is unbucketable but is being moved to a Bucket Folder or Item Bucket, we prompt the user with a confirmation dialog asking him/her whether he/she should like to continue given that the Item will be moved directly under the Item Bucket. If the user clicks the ‘Ok’ button, the Item is moved. Otherwise, the pipeline is aborted and the Item will not be moved at all. <processor patch:before="processor[@type='Sitecore.Buckets.Pipelines.UI.ItemDrag, Sitecore.Buckets' and @method='Execute']"
<processor patch:before="processor[@type='Sitecore.Buckets.Pipelines.UI.ItemMove, Sitecore.Buckets' and @method='Execute']"
One might argue this is expected behavior for clones — only source Item field values are propagated to its clones when there are no data collisions (i.e. a source Item’s field value is pushed to the same field in its clone when that data has not changed directly on the clone — and the Item name should not be included in this process since it does not live in a field. Sure, I see that point of view but one of the requirements of the project I am currently working on mandates that source Item name changes be pushed to the clones of that source Item. The handler above retrieves all clones for the Item being renamed, and renames them using the new name of the source Item — I borrowed some logic from the Execute method in Sitecore.Shell.Framework.Pipelines.RenameItem in Sitecore.Kernel.dll (this serves as a processor of the <uiRenameItem> pipeline). If you have any thoughts/concerns on this approach, or ideas on other ways to accomplish this, please share in a comment. Although I enjoyed building that solution, it isn’t ideal for synchronizing IDTable entries across multiple Sitecore databases — entries are added to all configured IDTables even when Items might not exist in all databases of those IDTables (e.g. 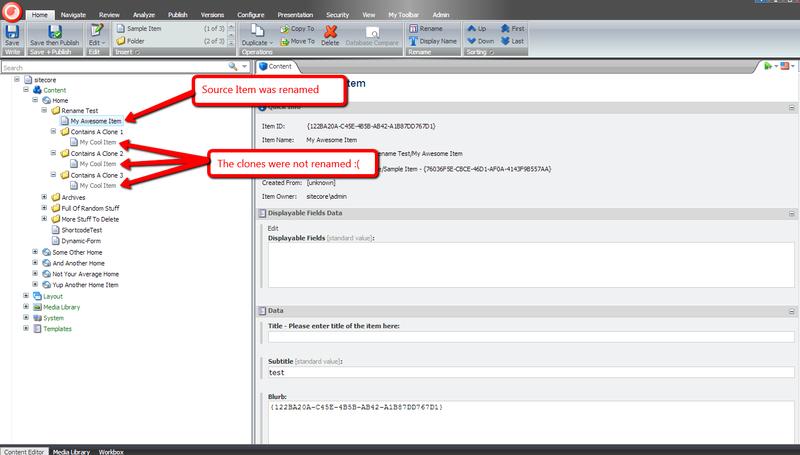 the Sitecore Items have not been published to those databases). The Process method above grabs all IDTable entries for all defined IDTable prefixes — these are pulled from the configuration file that is shown later on in this post — from the source database for the Item being published, and pushes them all to the target database after deleting all preexisting entries from the target database for the Item (the code is doing a complete overwrite for the Item’s IDTable entries in the target database). The above code retrieves all IDTable entries for the Item being deleted — filtered by the configuration defined IDTable prefixes — from its database’s IDTable, and calls the Remove method on the IDTableProvider instance that is created for the Item’s database for each entry. 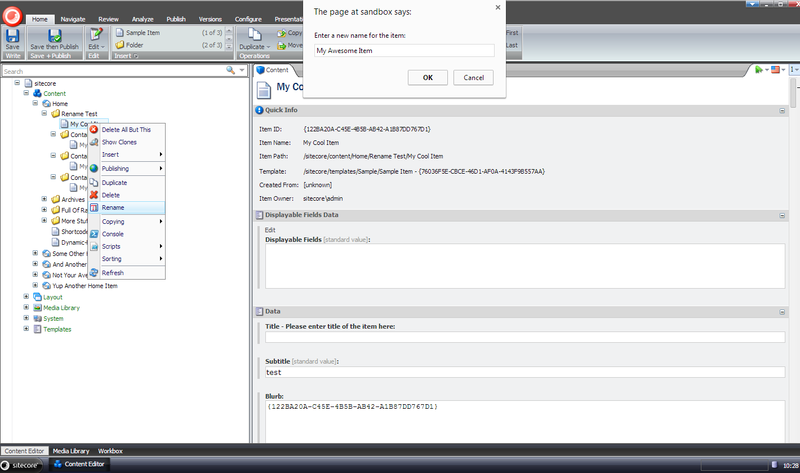 As you can see, both entries were inserted into the web database’s IDTable. It was removed from the IDTable in the master database. As you can see, it was removed from the IDTable in the web database. If you have any suggestions for making this code better, or have another solution for synchronizing IDTable entries across multiple Sitecore databases, please share in a comment.